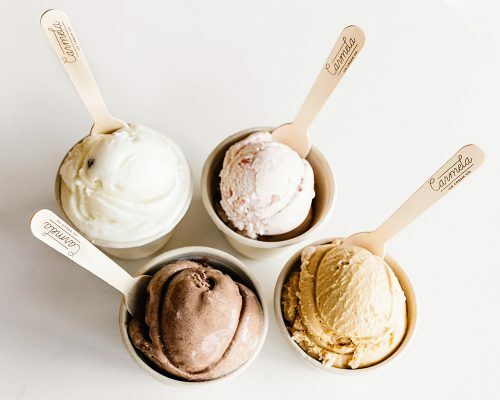 Our ice cream catering service provides a fun, tasteful element for your party or event. Whether it is a casual backyard birthday, a sophisticated wedding, or corporate event, we work hard to create a memorable experience for you and your guests. 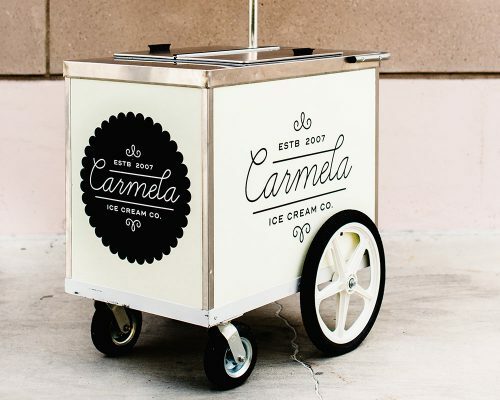 Choose between our fully restored vintage ice cream truck, a push cart w/ umbrella, or an elegant table setup. We can service any size event, indoors or outside. Hidden behind a freezer door, discover our secret back room at our LA shop on W. 3rd St. — equipped with an A/V system, projector, vintage photo booth, chalk walls and disco ball! Contact us for more details. 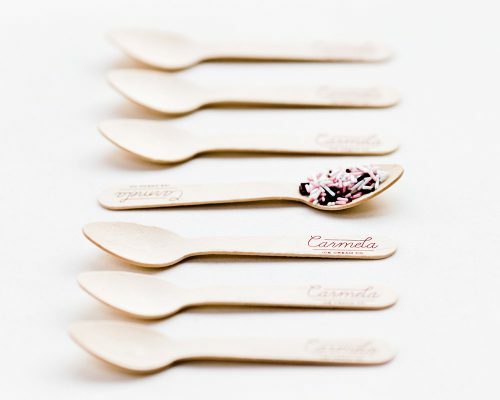 Book today by filling out our catering request form below or emailing catering@carmelaicecream.com or call 323-813-8919.